Here are a few activities to try during your stay; we would be delighted to give you any further information if you need it! Enjoy a discount of 20% on your equipment rental if you are staying with us! 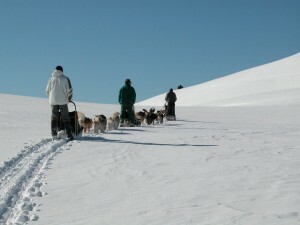 Discover the joys of sliding along in a sled pulled by Greenland Eskimo dogs, just like being in the Northern wilderness. Opened in 1909, the Mont Blanc tramway is one of the oldest ‘mechanical lifts’ in the valley and the highest rack and pinion train in France. 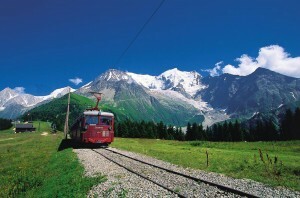 The Mont Blanc tramway weaves its way up to Bellevue, from where there is a unique and highly impressive view of the Aiguilles de Chamonix and the Dômes de Miage. 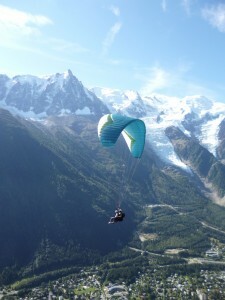 Starting from Le Fayet, it ascends from 580m to 1800m. 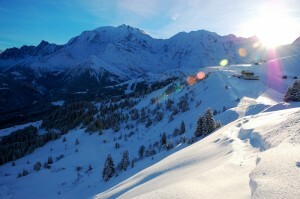 In winter, the Mont Blanc tramway stops at the Bellevue platform to give skiiers direct access to the Les Houches slopes. Cross country skiiers can join the higher slopes of Prarion. 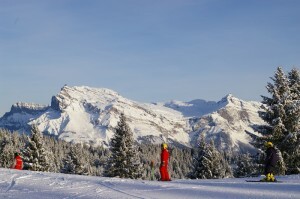 Snowshoe fans can also find routes suitable for them between Col de Voza and Bellevue. The Mont Blanc Baths, Saint-Gervais’ thermal spa invites you to a unique sensory experience. 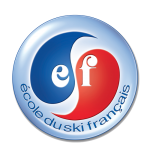 This two and a half hour session, based upon the properties of the thermal waters of Saint-Gervais is dedicated to fitness, health and well being and presents a unique opportunity to get back to basics! 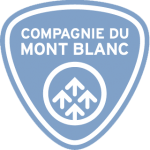 Guests staying with us can enjoy special rates: – 10% for the Mont Blanc Baths session (except Happy Hour). Happy Hour : 1 and a half to 2 hours of well-being! Let go and indulge yourself in the most relaxing way to get back in shape in a cosy and zen atmosphere. 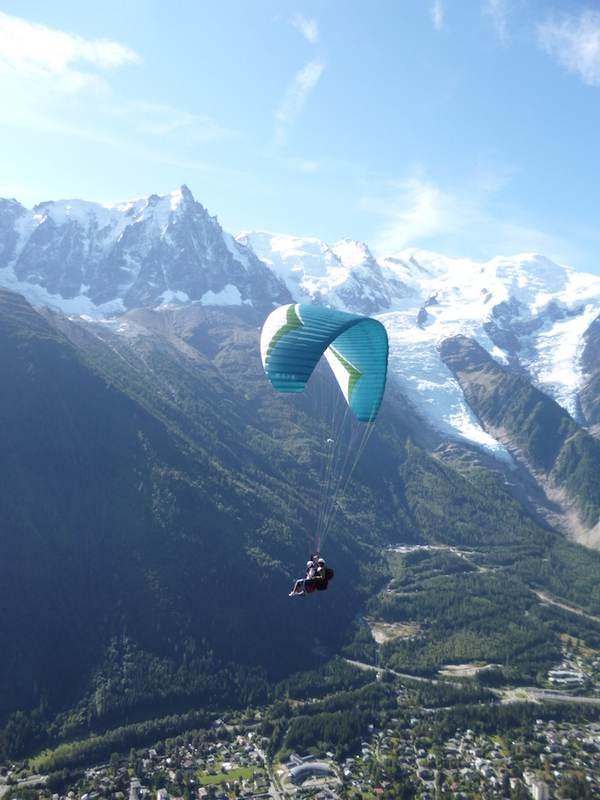 Glide up to the sky! You can visit various exceptional sites such as the Mer de Glace, the Aiguille du Midi… In fact, the Montenvers rack and pinion train leaves from Chamonix and will take you effortlessly and totally safely in 20 minutes up to the base of the Mer de Glace, which lies at 1913m and is the largest glacier in France (7km long and 200m wide). 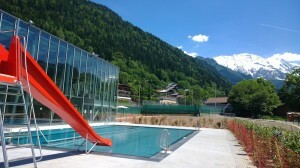 Near the gite you will find the skating rink and new swimming pool with water games and relaxation area.